Students now have access to vast amounts of data and statistics through our new database Data Planet. With over 5.2 billion data points, this resource provides standardized and structured data to enhance your ability to work with multiple indicators from multiple sources. Along with government data from the Bureau of Labor Statistics, Census Bureau, OECD, United Nations, and World Bank, Owen students also have access to special modules like EASI Analytics (useful if you’re looking for consumer data) and China Data Institute. Data Planet is great for gathering data on people, businesses, and consumers in the US; most data goes down to the zip code level. It also offers features like a built-in calculator for analysis, detailed citation data, and the ability to export directly to Excel. You can learn how to navigate their site using Data Planet’s research guides. Wondering how you can use this resource? Let’s say you’re working on a business plan for a new restaurant in Nashville. 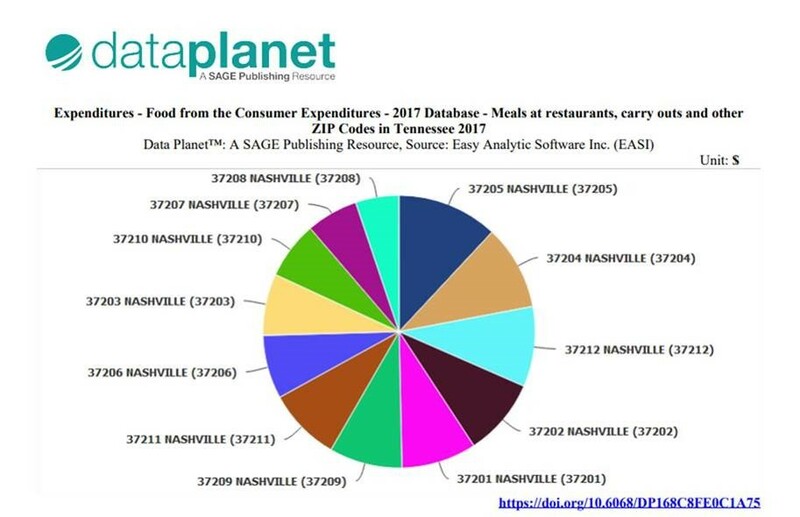 You can create a custom chart to see which zip codes in Nashville spend the most money out to eat at restaurants to help you identify potential locations. You can add many layers of consumer data create an excel spreadsheet with data on residents of that zip code, looking at age, gender, income, and education. 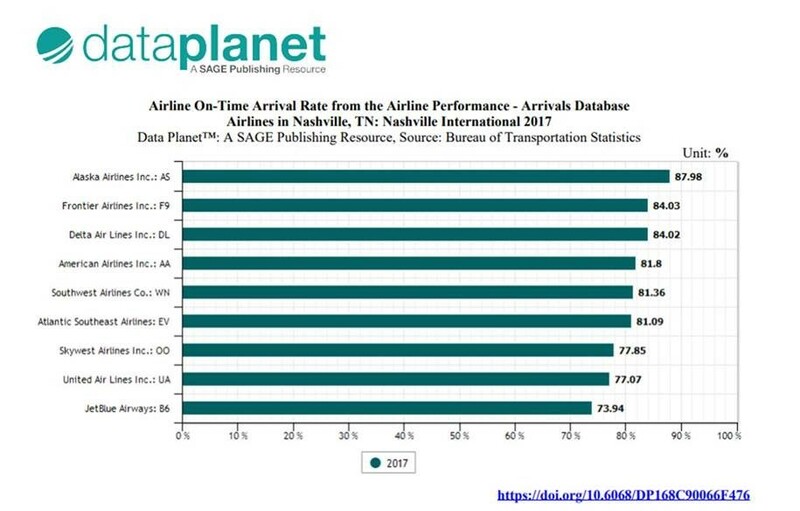 Or, let’s say you’re curious which airline has the highest on-time arrival rate into Nashville BNA. Data Planet has this data, from the Bureau of Transportation, that you can easily use to create a chart or graph. You can find Data Planet on the Walker Management Library’s list of A-Z resources. Please reach out to our library staff if you have any questions or want help navigating this new tool.